The chef and food writer known only as Rossi has come a long way to get to the launch of her first book, The Raging Skillet: The True Life Story of Chef Rossi. Her "memoir with recipes" will debut at a combination book talk/cooking demonstration that will put the cherry on top of her arduous climb through the kitchens of NYC and also serve as a stick in the eye to all the chauvinist restaurateurs who told her she'd never make it. The only trouble comes when her mother crashes the party, which is quite a feat for a dead woman. 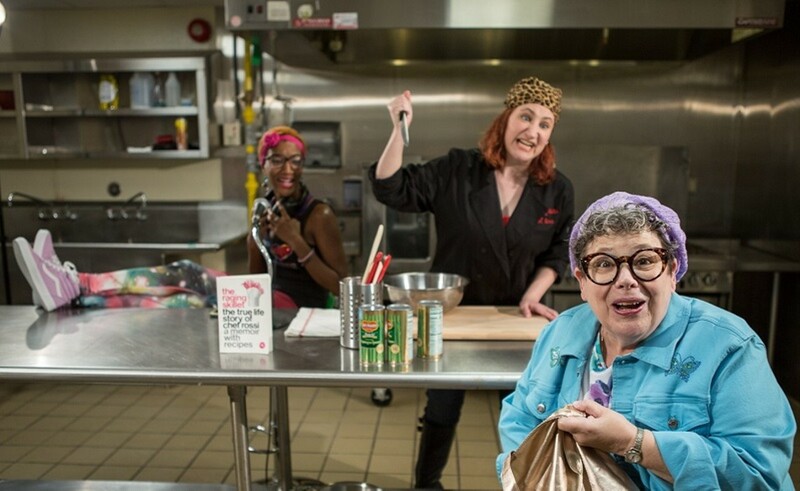 Mom — who never approved of Rossi's lesbianism, her rejection of her Orthodox Jewish heritage for punk rock or her foul mouth — becomes the counterpoint to her big day in Jacques Lemarre's play about food and family, Raging Skillet. Inspired by the true story of caterer Chef Rossi, the play opens the new season for the New Jewish Theatre, the first with new artistic director Edward Coffield. Performances are at 7:30 p.m. Wednesday and Thursday, 8 p.m. Saturday and 2 p.m. Sunday (October 4 to 21) at the Wool Studio Theatre at the Jewish Community Center (2 Millstone Campus Drive, Creve Coeur; www.newjewishtheatre.org). Tickets are $42 to $45.